Amazon was founded by Jeffrey P Bezos in 1994 who has since been serving as its chairman. However, the online business of Amazon opened in 1995. The company has come a long way from being an online book seller to being the leading online retailer of the world. Today, it sells hundreds of millions of products, several of which are its own and others sold by third party sellers through its website. Apart from being a major e-commerce player, the company is also a major cloud player and provides cloud based services through Amazon Web Services. Amazon is also a highly innovative company that has grown very fast. It has extended its line of product offerings into food, fashion, music and movies as well. The company has also brought a large range of services for enterprises and developers ‘Amazon Web Services’. Amazon’s main strength is its extensive global presence. The company serves millions of consumers throughout the world through its website and a global network of fulfilment centres. Net sales of the brand have seen enormous growth over the past five years. They have more than doubled in this period. Its net sales increased from 136 Billions to 178 Billion dollars from 2016 to 2017. This shows the company has successfully achieved high volume sales and profitable growth. Amazon has organised its operations into three main segments that are North America, International and AWS. North America is the largest market for Amazon accounting for around 60% of the company’s net sales in 2017. However, AWS has also experienced a significant increase in revenue over the previous three years. The product/service range of Amazon has grown enormously since its foundation and so has its global presence including online and physical. This is a discussion of Amazon’s marketing mix and the four P’s including Product, Place Price and Promotion. Amazon Marketplace (e-commerce): Amazon is a major online selling platform for third party sellers including small and medium sized businesses (SMBs) who can sell their products to a global audience. The company allows sellers from around the world to sell their products on Amazon platform. Amazon earns fixed fees from them which can be a percentage of sales, per-unit activity fees, interest or a combination of these from its seller programs. More than 300,000 US based SMBs started selling on Amazon e-commerce platform in 2017. Millions of SMBs from around the world also now sell on Amazon. Apart from every State in US , SMBs from 130 different countries are selling at Amazon market place. Kindle Publishing: Kindle Direct publishing allows independent authors and publishers to make their products available on Kindle store. They can choose a 70% royalty option. Amazon also has its own publishing arm called Amazon publishing. The company offers more programs that allow authors, musicians, filmmakers, app developers, and others to publish content and sell it online. AWS: Amazon serves developers and enterprises of various sizes through AWS. AWS offers a wide range of global compute, storage, database, and other service offerings. Net Sales from AWS jumped to 17.5 Billion dollars in 2017, 43% growth over the previous year. 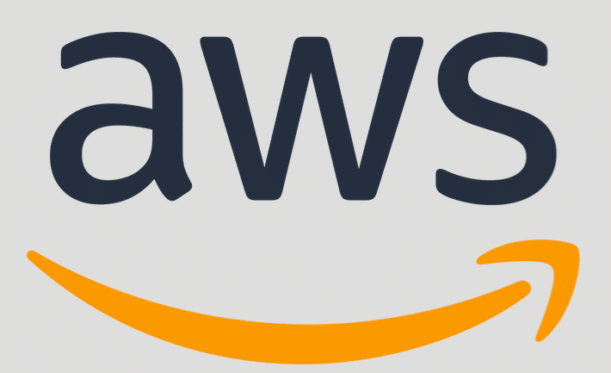 Amazon has also grown the pace of innovation across its AWS platform in areas like machine learning and artificial intelligence, Internet of Things, and serverless computing. Release of Amazon Sagemaker has grown the adoption rate of Amazon AWS in the recent years. Alexa: Alexa’s popularity has also grown very fast in the recent years. Customer adoption rate of Alexa enabled devices which are among the best selling items on Amazon has sharply grown. Customers can control more than 4000 smart home devices from 1200 brands with Alexa. Alexa has seen several major improvements in the recent years including fingerprinting, far field speech recognition, spoken language recognition through improvements in machine learning components as well as use of semi supervised learning techniques. Amazon Devices: Amazon devices including Echo devices, and Echo Dot and Fire TV Stick with Alexa have seen their popularity and adoption rate grow fast. Customers bought nearly twice as many Fire TV Sticks and Kids Edition Fire Tablets in 2017 holiday season as compared to 2016. Apart from these in 2017, Amazon released an all new echo, echo spot, echo plus as well as next generation fire TV and the Fire HD 10 tablet. Amazon also celebrated the tenth anniversary of Kindle by releasing the all new waterproof Kindle Oasis in 2017. Amazon Prime: 13 years later than its launch, the number of paid Amazon prime members grew past 100 millions in 2017. The company shipped more than 5 billion items with Prime Worldwide in 2017. Amazon has improved the scope of Prime a lot since its launch. It has expanded Prime to Mexico, Singapore, the Netherlands, and Luxembourg and also launched Business Prime shipping in US and Germany. Prime shipping has grown faster and Prime Free Same-Day and Prime Free One-Day delivery is now available across more than 8,000 cities and town. Across more than 50 cities in nine countries, customers enjoy the benefits of Prime Now. Prime Video: Prime Video continues to remain the driver of Prime memberships worldwide. In 2016 and 17, the company added several new Prime Originals. It has already released many and there are several more in the Prime Original series Pipeline. Prime Video Direct secured subscription video rights for more than 3,000 feature films in 2017. It also committed above $18 million in royalties to independent moviemakers and other rights holders. Amazon music: Amazon music is growing fast with tens of millions of paid customers. In 2017, Amazon expanded its Amazon music unlimited (on-demand, ad-free offering) to more than 30 new countries. Fashion: Amazon has also become an important destination for fashion shoppers. The company launched Prime Wardrobe which allows members to try latest styles before buying. Amazon also introduced Nike and UCG as well as several new private brands and celebrity collection by Drew Barrymore and Dwyane Wade. Whole foods: Amazon acquired Whole Foods market on August 28 of 2017. After the acquisition, it immediately lowered prices on several items. Its acquisition of whole foods was a major step towards growing its range of food and grocery products. Since then, the company has extended several of the prime benefits to Whole Foods segment as well. Amazon is truly a global company with a vast distribution and fulfilment network. Its headquarters are in Seattle, Washington. However, apart from its global online presence, the company serves its customers through its large and global network of warehouses that it calls fulfilment centres. Inventory comes in from the manufacturers to these warehouses and is then sent to the customers directly. Amazon has more than 175 fulfilment centers across the globe. These warehouses occupy more than 150 million square feet space where the Amazon associates can pick, pack and ship millions of orders. In North America, it has more than 75 fulfilment centres and more than 110 operational facilities. NorthAmerica alone has more than 125,000 associates working inside Amazon fulfilment centres . India has also become a major market for Amazon and Amazon.in, the Indian website of Amazon market pace has become the fastest growing marketplace in the country. The e-retail giant also operates 465 whole foods market stores in North America and 7 internationally. Acquisition of whole foods market has helped it grow its physical footprint nationwide in U.S..
Amazon’s focus has always been customers’ convenience whether it is in terms of prices or customer service. It has generally tried to make products accessible as well as affordable. Amazon’s high volume sales have resulted in overall enormous net sales. However, the profit margins have generally remained very low. Its profit margins have generally remained at around 3% and have seen some growth in the recent years. Compared to the other tech or internet companies, its profit margins may be low but overall net sales and income are high. Amazon has always tried to bring products at more competitive prices than others. Whether it is market place, Prime or AWS, Amazon’s pricing strategy is competitive. However, it has still managed impressive profits and income. The reason is that the brand has been able to achieve very high volume sales because of its competitive pricing strategy. Its size and scale have helped it achieve high volume sales while charging its customers the lowest prices possible. Its pricing strategy is also major reason behind the growing popularity of the platform. Soon after acquiring Whole Foods market, Amazon dropped prices on several items. In this way, it has managed to remain profitable as well as customer’s favourite. Amazon is a highly popular brand and hardly needs any introduction in today’s world. Its popularity has grown very fast in the recent years with Amazon Prime and other new features. The popularity of Amazon web Services has also grown a lot leading to high volume sales and profits. However, the main channel of marketing and promotions for Amazon is the marketplace or Amazon website. Customers can easily find and choose from millions of products available on its website. However, Amazon also employs her digital channels for promotions including online advertising and affiliate marketing. It spends a lot on marketing and to attract and retain customers. Its marketing expenses grew past 10 billion dollars in 2017 from 7.2 Billion dollars in 2016. There was total 39% growth in its marketing expenses from 2016 to 2017. Being a popular brand, it and its founders always remain in the news. Amazon prime has also proved to be successful at attracting and retaining customers. Being an unconventional brand, Amazon generally employs unconventional promotional techniques. Since it is one of the four largest tech players, it also manages to remain in the news for one or the other reason everyday. Amazon’s success story is no less than magic. From being just a book seller to becoming the leading online marketplace, Amazon has come a long way since its foundation and in less than 25 years. Over these years, while it has grown its range of product/service offerings, it has also been able to find profitable growth at an enormous rate. Amazon Prime and other new offerings including Alexa have helped it accelerate its growth rate. Amazon is an innovative brand and spends a large sum in billions each year on research and development. Its focus on innovation has helped it grow its Web Services platform. While there are several challenges in the technology industry, Amazon’s strategy has proved successful at attracting and retaining customers in very large number. Apart from customer service, its pricing strategy has also played a central role in making it as popular globally. Apart from electronics and other items, Amazon has also become a leading destination for movies, music, food and other products online. Since the acquisition of whole Foods market, it is also leading player in the food and grocery segment. Amazon continues to focus upon technological innovation to become a leading cloud player. Its position as the leading e-commerce player has become a formidable challenge for the physical retail players.